This letter was written by William Harvey Bosworth (1839-1918), the son of William Raymond Bosworth (1810-1899) and Juliet Still (1815-1841). The family came from Genesee county, New York to Batavia, Illinois about 1840. Harvey enlisted in Co. C, 7th Illinois Cavalry, in September 1861 and served three years, mustering out on 15 October 1864 as a corporal. I find I am falling behind with my Sneker correspondents, and will try to get even again corresponding with you. Your letter of the 12th was gladly welcomed for I had not received any word from you since the first of June. I wrote to Uncle Lishter 12th inst. but perhaps he has not received it as he doesn’t mention it in his letter of the 19th which was received the 26th. I congratulate you as the _______ to your family and can excuse you for not writing under such circumstances. So you have two big boys, have you. Well you’re lucky. They may be some help to you by and by. Have you found names for them yet? I should think twould bother you to find suitable names for so many, however I suppose they will receive some kind of a name. That doesn’t matter so much, if they but make good Union soldiers, and I think there will be no need for anxiety on that account. But we all hope there will be no need of soldiers much longer and I must say the prospects are good now for us. There is good news for us every day almost. I have a paper everyday now and seldom fail to find something good for us. Yesterday we received the confirmation of the capture of John [Hunt] Morgan. That’s glorious news, don’t you think so? It was rumored around Sunday night that he was captured but we did not know for certain till yesterday. To tell the truth, we soldiers rather like the idea of his making the raid where he did. To be sure, a raid of that kind is to be regretted at anytime and place. But we think it has benefited the country morally more than than it has injured it financially. Everyone said “Bully” for him when we learned that he had gone into that section of b-l-sted Southern sympathizers and now that he has been captured after traversing the whole of it, I feel as if I could harrah all over. But with joy cometh also sorrow. Day before yesterday we heard that our comrade William A. Statia ¹ had died in the hospital at Nashville. He was wounded in a skirmish the 24th of June just below the knee. The wound was not considered a dangerous one and with proper care he could have been saved. But those shiftless fellows at the hospital let the gangrene get into it and did not take even interest enough in him to see that he was clean. Some of the company saw him in the hospital at Murfreesboro the 15th and they had the gangrene reduced so they thought there was no danger then. Sgt. Statia was a member of my mess and although we differed politically and have had some warm debates, we never allowed out tempers to get the better of us, but always parted in good feeling. He was a Douglas Democrat. There has been no death in our company that seemed to affect the whole like his. I am glad to learn that the people are enjoying good health. There is surely need enough of it to gather the crops this season. I fear another season you will have less help than this if the Conscription Bill is carried out, and I do not see any way of avoiding it at present. To be sure, as the prospects are now, it doesn’t appear that there is much more hard fighting to be done. Still we must keep a bold front — not relax in the least — as all may be lost yet. And who knows but this government may have something to say in Mexican affairs. By yesterday’s paper I see that Mexico has been declared an empire with Maximilian of Austria as Emperor. Now would it not be a burning shame to this nation to let France or any other nation of the Old World come over here and set up an empire for one of their effeminate, illegitimate, sons of royalty? What think you? Beside what will better effect on this nation with an empire on our border? Our captain took six of us and went out to catch a bushwhacker yesterday but failed more on account of missing the way than anything else. There are more and more crunched roads here than paths in a hay pasture. Then too there are so many hills and hollows running different ways that one don’t know where he will land when he starts out. Then the people that live here abouts are a curiosity. I know that I have written a great deal about them. So have others. But the theme is not exaggerated. But I’ll not tire you with a repetition. This much I will say — that I never imagined such people to exist in this great & free country. We are in some hopes of seeing Uncle Ralph down here by and by. He has sent us word that he will come if we will get a pass for him. Lieut. [John H.] Shaw saw Gen. [William J.] Palmer yesterday and we are to have a pass to send him so that he will get it at Louisville. Now that the campaign is over, there will be no difficulty in getting passes for citizens from the North. My large sheet is about full so will close wishing yourself and family health & success. P. S. I will write to Uncle Lish as soon as we can get some postage stamps. We received four months pay the 21st just so the most of us have our pockets lined with Lincoln Green — consequently are in good spirits. Charley ² is orderly at D in Headquarters and on duty today or perhaps he would have something to say as it is. Please take the will for the deed. ¹ The company roster indicates that Sgt. 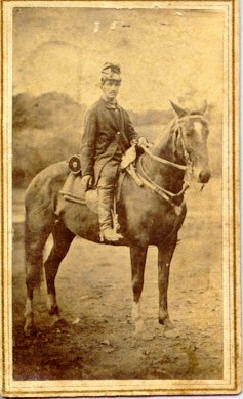 William A. Statia was killed in action on 21 June 1863 near Bradyville, Tennessee. We learn from this letter that the date of his wound and death differs from the official record. 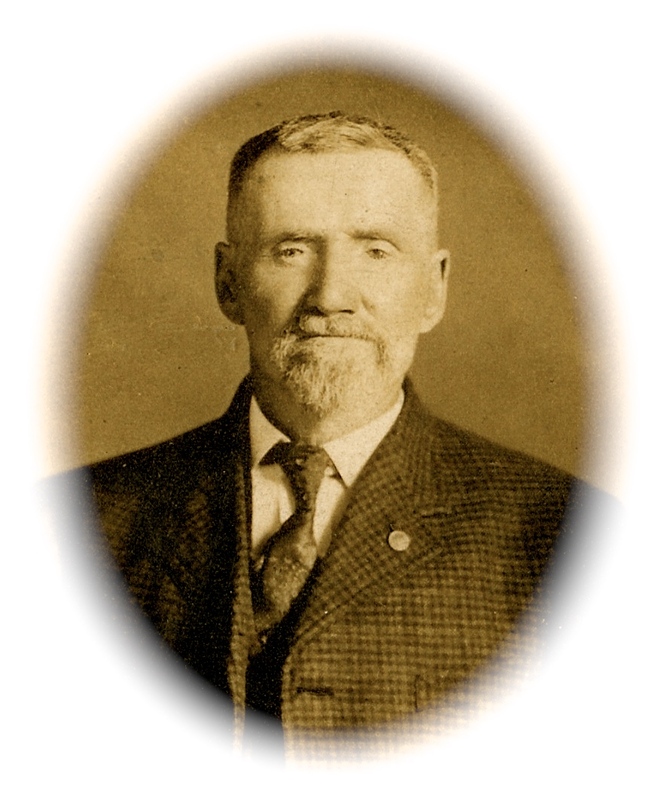 ² Charles (“Charley”) Harmon Evitts (1841-1874) was Harvey’s cousin, the son of Ralph and Betsy (Bosworth) Evitts. Harvey and Charley served together in Co. C of the 7th Illinois Cavalry. After the war, Harvey went to live at the Evitts’ home in Bradford, Illinois, where he farmed and also taught school. Here he met his wife to be, Emma Jane Starks.